Sadly I first read on Facebook this past Wednesday that former Central Sate (Ohio) Marauder and Major Leaguer, Eddie Milner passed away at age 60 on Monday, November 2, 2015. I think this hit me differently than most MLB’ers who have passed because, Eddie was from my hometown of Columbus, Ohio, he was roughly the same age as me and because a few years back he had accepted me as a Facebook “friend”. 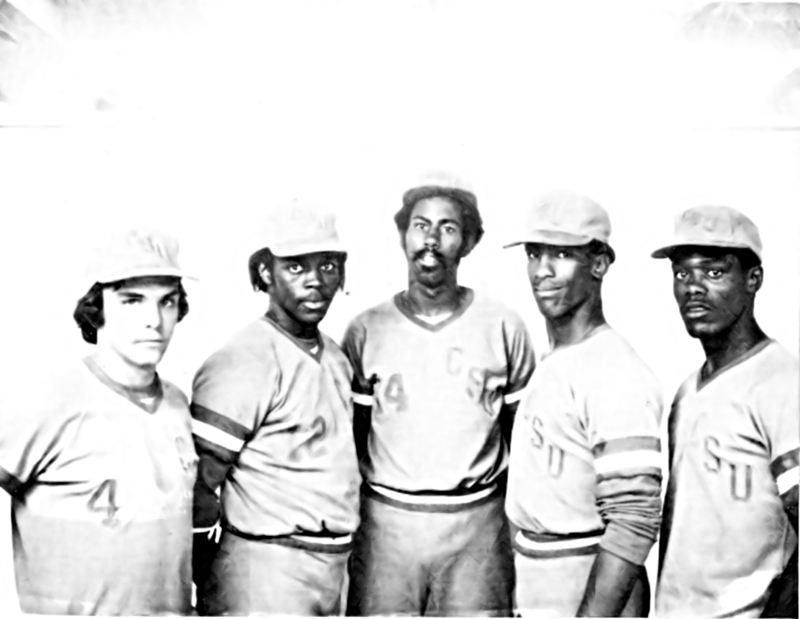 Before being drafted by the Cincinnati Reds in the 1976 MLB draft, Milner was a star at Central State University (whose baseball program is now defunct). In 1975, Milner led his Marauders to a 31-16 record. Though he fell just short of the number of required plate appearances to qualify as a leading hitter in the NAIA (National Association of Intercollegiate Athletics) that year, his .509 batting average would have placed him second in the country in hitting. 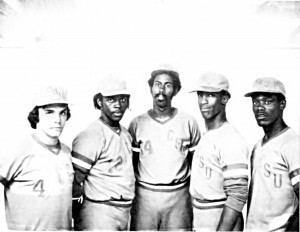 Eddie Milner made a name for himself corralling pitchers’ mistakes with his glove in the outfield and burning up the basepaths with his legs in the 1980s – a name he knows he tarnished by allowing drug use to prematurely end his stay in the game he loved. Born on May 21, 1955, in Columbus, Ohio, Milner was the fourth of seven children born to Eddie James Milner Sr. and Evangeline Milner. Athletics proved to be a passion for the diminutive speedster; he stood out enough in football to be offered chances to play at Ohio University and was a good enough wrestler the get an offer from the University of Iowa. But it was baseball that was his true calling, and he accepted the opportunity to play at the Division III level with Muskingum College in New Concord, Ohio. Milner never played an inning for the college, injuring his back while lifting weights during preseason workouts. He returned home to Columbus and went to work in a steel mill. He played in a summer baseball league, where he caught the eye of the coaching staff of Central State University, an NAIA school in Wilberforce, Ohio. He was offered a scholarship, and he played there the next two years, well enough to be invited to work out in front of some professional baseball scouts. He was drafted in the 21st round of the 1976 amateur draft by the Cincinnati Reds, who also picked future big leaguers Paul Householder, Bill Dawley, Jay Howell, Tim Laudner, and Pat Sheridan in that draft. Milner signed for “little or nothing because I didn’t know how the draft worked.” He was assigned to the Billings (Montana) Mustangs, the Reds Rookie League affiliate in the Pioneer League, where he hit .255 with two home runs and 14 doubles in 67 games. His three triples, 17 stolen bases, and 49 walks were team highs. The Pioneers finished second in the league, going 36-35, and Milner was named to the postseason All-Star team. He was promoted for the 1977 season to the Shelby Reds, of the Class A Western Carolinas League. His hitting improved to .268-3-30 and he had a team-best 35 stolen bases. Shelby finished fifth with a 60-75 record. The team was at the bottom in attendance. A stop in Tampa, Florida, for the 1978 season brought more all-star accolades for the 23-year-old Milner. He led the Tarpons with 141 hits, a .284 batting average, 79 runs, 16 triples, 28 stolen bases, 55 walks, and 44 runs batted in. The Tarpons finished fourth in the Florida State League’s Northern Division with a 61-73 record. Milner now was considered a legitimate prospect to become the Reds’ next center fielder, and even though he split the 1979 season between Double-A Nashville (.263-11-56 with 35 steals in 104 games) and Triple-A Indianapolis (.185-0-2 with two steals in 30 games), he got to be around those players who drove the Big Red Machine through their championship years. 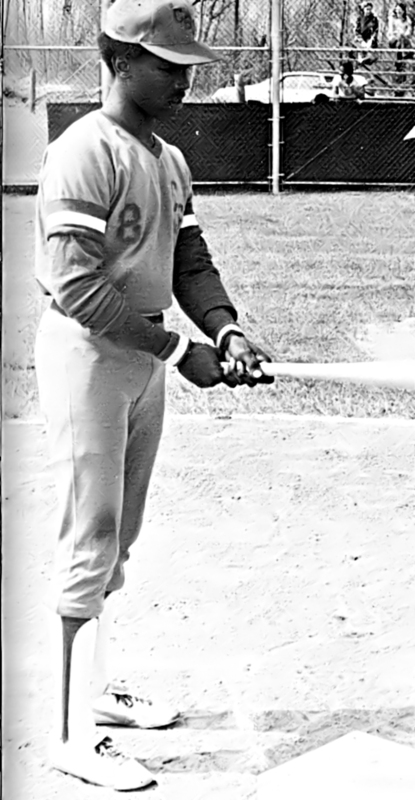 Milner opened the 1980 season in the starting outfield of the Indianapolis Indians, and he led the team with seven triples to go along with a .252 batting average and 24 steals. His play earned him a late-season promotion to the big-league club, where he went hitless as a pinch-hitter three times but scored a run as a pinch-runner. After hitting .287, stealing 43 bases and leading Indianapolis with six triples, Milner received a late-season call-up to the Reds in the strike-plagued 1981 season. He cracked his first big-league hit on September 25, a run-scoring double off Atlanta reliever Steve Bedrosian. 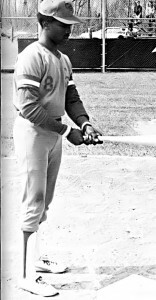 Milner earned his way into the starting lineup for the 1982 season, hitting .268 in 113 games. As an outfielder, he threw out eight opposing baserunners and quickly began making a name for himself defensively. The Reds, however, saw the demise of their dominant days, losing 101 games after a 1981 season in which they had the best record in baseball. McNamara was replaced by Russ Nixon midway through the season. Milner played in a career-high 146 games in 1983, hitting .261 with nine homers and 33 runs batted in. He swiped a career-best 46 bases. It was in the following season that the downward spiral that led to the end of his career began. Milner had tried drugs once previously, saying it happened while he was playing in the Instructional League just to shut up a person he would not identify. But in 1984, upset by the lack of playing time, the death of his mother, and some nagging injuries, Milner turned to cocaine as a way to battle the frustrations. His batting average dropped to .232 in 1984, and he stole 21 bases in 34 attempts. He bounced back to hit .254 with 35 steals and a career-best 82 runs scored in 1985, manager Pete Rose’s first full year back with the Reds. first time. After hitting .252 in 101 games for the division-winning Giants, Milner was granted free agency after the season. He caught back on with the Reds in 1988 but relapsed in March and was suspended for a year. The suspension was reduced to 81 days, and Milner was reinstated after completing another rehabilitation program. He spent time with Double-A Chattanooga and Triple-A Nashville that season before playing 23 games and batting just .176 for the Reds. He retired after the season, finishing with a .252 batting average, 42 homers, and 195 RBIs, along with 145 stolen bases, in 804 games. Milner shared a major-league record (as of 2013) with Cesar Tovar as the only players to get a hit in five one-hitters. The bitterness of what might have been clung to Milner after his playing days. When spring rolled around, he would remind himself that he should still be playing. He would then turn to drugs to deal with the frustration and pain. It became an all-too-familiar cycle for him. In May 1997 Milner became an ordained evangelist, and he began using his struggles to minister to those who were going through the same thing. Milner said he has stumbled along the path a few times himself, falling prey to temptations, and he said he has learned how easy it is to “change from focusing on God to doing drugs.” But he said he hoped he could use his past to help others have a better future. Eddie Milner died at age 60 on November 2, 2015. Lloyd Johnson and Miles Wolff, Encyclopedia of Minor League Baseball, 2nd edition (Durham, North Carolina: Baseball America, 1997). Mark Curnutte, “Going to Bat With Faith,” Cincinnati Enquirer, September 10, 1998. Mark Morrison, “Milner Shares Knowledge With Kids,” Marietta (Ohio) Times, June 20, 2012. “Eddie Milner in Drug Program,” Los Angeles Times, April 17, 1989. Author interview with Eddie Milner, July 2012.